Sabco premium ironing boards have a sturdy construction that is durable and long lasting. It has a good quality cotton cover with premium foam underlay. It is easy to store as it folds flat. 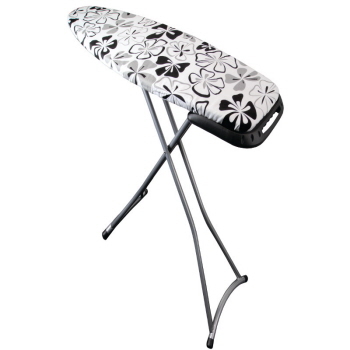 It also has a retractable iron shelf that is tucked under when not in use. It has an adjustable height up to 93cm.